Our data centers are connected through our own private network and each data center is also accessible through the internet. 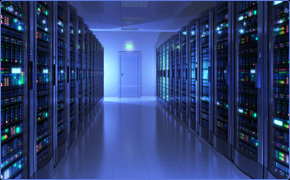 TheOmne.net provides its customers with the ability to collocate their own equipment, in these data centers, connected directly to its exchange facing routers (subject to exchange authorizations). Latency to these exchanges is about as low as it can get. Additionally, as TheOmne.net is the home to Rithmic’s R | Trade Execution Platform™, TheOmne.net’s customers can connect their equipment directly to Rithmic’s market data and trading network. All proximity hosting is subject to a signed written agreement which will contain the pricing above and additional terms and conditions. * The installation fee of a 10Gb port may be waived if the connection to a 10Gb port is made as part of a server installation.